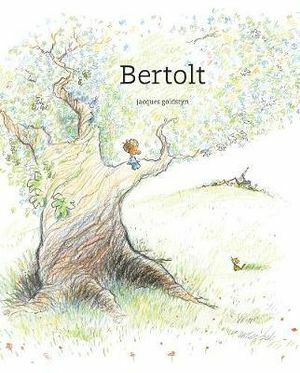 This is a charming, touching story about an imaginative boy whose best friend is an oak tree named Bertolt. The boy admits to being an outlier among his peers, but insists that while he is alone, he is never lonely. Being independent suits him, and he considers his difference to be his advantage. A daily refuge is his tree, Bertolt, who provides him a literal and metaphorical vantage point from which to observe the world. Bertolt gives by simply being--he is host to the boy's imaginative adventuring. In springtime, when Bertolt's leaves are abundant and communities of animals make their homes in the tree's nooks and branches, the boy tucks himself away to observe everyday happenings, like the mischievous Tucker twins stealing bottles and the mailman setting down traps. He remains plucky and unbothered, even as he says goodbye to Bertolt for the winter season. After the last frost, when the trees are in bloom, the boy notices that Bertolt is yet bare, and comes to the conclusion that his tree must have died. The boy's strong spirit manifests itself in his desire to honor his friend's life and generosity, revealing to readers the real, sweet mutuality of this friendship. This book is about the imagination and the wonderful ways in which we nurture ourselves in the process of becoming who we are, and because Bertolt dies in a winter's storm, it is also a book about finitude and loss, sorrow and acceptance. Goldstyn Jacques was born in 1958 in Saint-Eugene Argentenay. A graduate of the University of Montreal, he worked in petroleum geology. In 1981, he illustrated his first book: Les Debrouillards, a collection with a scientific bent. He has illustrated numerous books about the same cast of characters, and works with the press as well.